Weather forecasts in the media: hot or cold? Several local newspapers have weather forecasts in their online and print versions. While forecasts from different sources can differ (after all, these are uncertain forecasts), I found a few perplexing issues when examining forecasts from the two oldest papers: Kuensel and Bhutan Observer. Turns out that the Kuensel website gets updated in the evening, so in fact their website does "back-casting" of yesterday's weather... The next strange discrepancy is between the names of the Dzongkhags as they appear in print and online (not to mention the different ordering). Third, I couldn't find the source for the forecasts. Where are they coming from? Finally, it would be helpful if the graphics in both modes used the same icons, order of columns, column names, and design. Bhutan Observer has a Weekly Weather corner in its print and online editions. It offers more detail than Kuensel in terms of listing all the 20 Dzongkhags and provides forecasts for an entire week. However, unlike Kuensel which also reports high/low temperature forecasts, BO's graphic table tells us only the "outlook", that is, whether a day is likely to be of one of six types: mostly sunny skies, possibility of rain, cloudy, partly cloudy, partly sunny, or partly cloudy chances of snow/sleet. This choice of information is a bit unusual. I can see how it is useful for determining whether an umbrella, hat or boots are needed. It can also help guess the chances of flights landing in Paro. What is the forecast for Tuesday in Chukha? How many different weather outlooks across Bhutan in the coming week? Dzongkhag names are not listed alphabetically! With 20 names, searching for Chukha takes quite some time. Distinguishing between the icon images is difficult because they seem similar. A simple trick that would have made it much easier on our eye is using different colours. On the website there is no reason to use greyscale. And if colour-printing is too expensive, then using a more distinctive greyscale can work. Given that there are only two different icons in this week's table, do we really need to see all six possibilities in the bottom legend? Removing unused icons from the legend would make the reader's task much easier. Lastly, one should always ask about the data source. Here the source is listed clearly at the top as "Contributed by the Metrological Department of Bhutan". I suppose this is the Hydro-Meterological Services Division at the Department of Energy? Imagine for a second that you are a wealthy foreigner who, after hearing all about Gross National Happiness, suddenly has the urge to invest your enormous fortune in a new business in Bhutan. Naturally, you need to do some research. So there you are, sitting in your living room by the fireplace (or beside your private infinity pool), perhaps draped in your posh silk pajamas, with the shining new iPad 3 on your lap. You start surfing the internet looking for relevant information on foreign investment in Bhutan. You go to Google and look for "foreign investment in Bhutan". 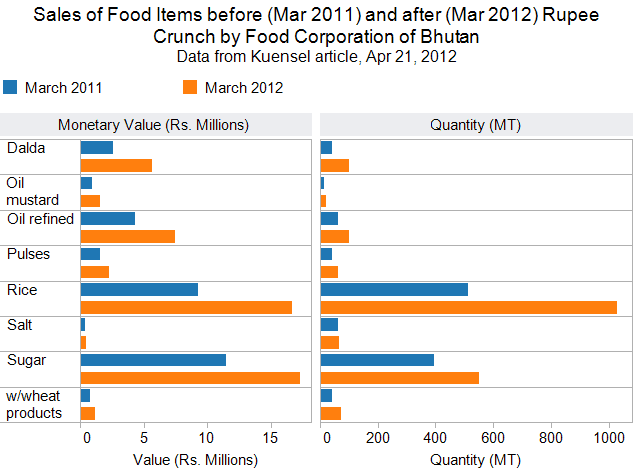 The first result comes from asiaone.com: Bhutan unable to attract foreign investment. Oops! Not exactly what you were looking for. So you try again: perhaps throw in the word "direct"? This time you search for foreign direct investment in Bhutan. The first result is a page from the website of Bhutan Majestic Travel, a Bhutanese tour operator. It's a news article. So you keep on searching for the policy. But it's not there. In fact, the first page of results - and most users do not look beyond the first page - has links from Bhutan Times, from an Indian newspaper, from OL Tshering Tobgay's blog, even from the National Council's website. But the results do not include the policy. You finally give up and start looking for other opportunities. The sad truth is that the policy is available online, at the GNHC's website. 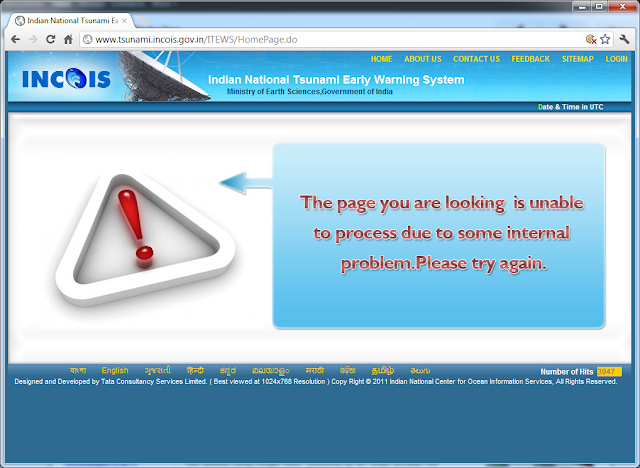 But the GNHC website is not search-engine friendly. Google has a hard time understanding what's in that website. When someone searches for the FDI policy, Google returns links to websites which it thinks are more relevant to "FDI in Bhutan" than GNHC. Many Bhutanese webmasters are not familiar with Search Engine Optimization (SEO), the art and science of making your website search-engine-friendly and improving your website's ranking. If you are interested in the topic, Google has a good Search Engine Optimization Starter Guide. Final note: If you reached this far, you're also welcome to read the Foreign Direct Investment Policy, 2010. EASY: Creating and updating web pages with Google Sites is as easy as editing a Microsoft Word document. FREE: Creating and hosting a site with Google is free. You save tens of thousands of rupees every year. RELIABLE: Google Sites is as reliable as other Google services, such as Gmail. SECURE: Your website will not be a target to hackers. SAFE: All your web pages, images and files are backed online, and for free. The revolution has started! 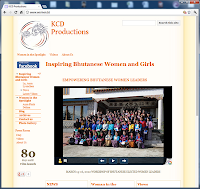 More organizations in Bhutan are switching to Google Sites. They save the time, money and hassle of dealing with webmasters. Organizations using Google Sites include tour operators, contractors, various educational institutions and other tiny, small, medium and large organizations. I've created a Facebook group, Google Sites Bhutan, which will serve as community forum to learn, exchange, and share information about using Google Sites in Bhutan. Feel free to join the revolution! An article in this week's The Bhutanese showed data supporting "a study by the Bhutan Chamber of Commerce and Industry [which] shows that government expenditure and government projects are the main cause behind the rupee shortage." 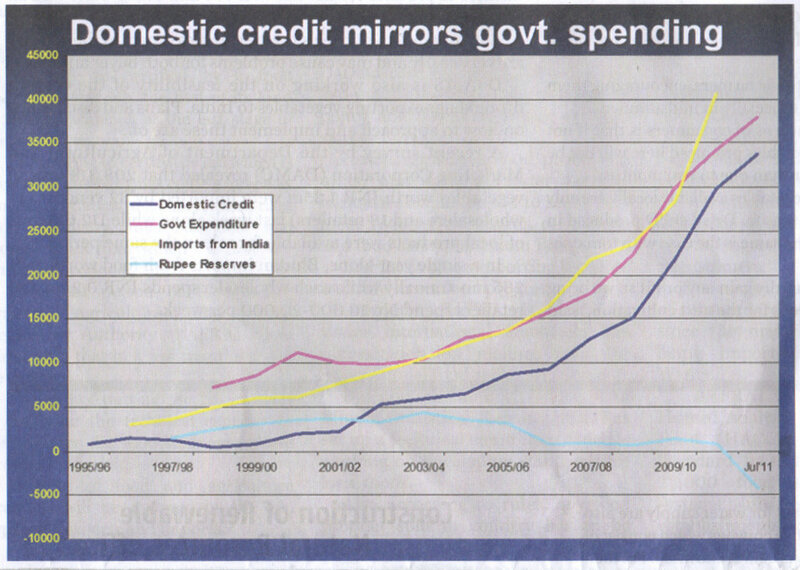 The following line graph was used to show the data (unfortunately, images are unavailable on the newspaper's website). The chart compares government spending with three other expenditures from (I think) 1995 to July 2011. While a line graph is an effective way to compare trends, there are a few issues that must be kept in mind to avoid confusing the reader. Let's look at this chart carefully: First, the year labels are confusing. Second, are lines connecting annual numbers? monthly numbers? or perhaps some other aggregation? Third, the choice of line colors is quite hard to read, especially on the grey background. Try to follow the Rupee Reserves line. And fourth, the goal of a chart is to highlight the information for our story, not to dazzle us with color and bling. While the four lines and the legend are information, all those horizontal gridlines and background shading are distracting non-information. These are just some guidelines for producing effective charts. Unfortunately, I do not have access to the data so I cannot produce an "improved" chart that more clearly communicates the message. Creating good charts is crucial for communicating news stories and convincing the audience. To learn more and improve your skills, you are welcome to join the Effective Data Presentation workshop. Seeing the Rupee crunch: Chart or Table? Today's Kuensel article "Wholesalers see the silver lining" discussed the surge in sales by the Food Corporation of Bhutan following the Rupee Crunch. 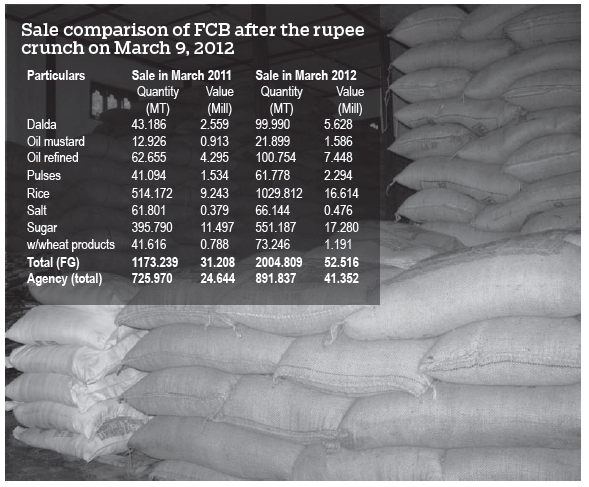 Here's the table they provided for comparing FCB's sales volume and amounts in March 2011 compared to March 2012. Try to figure out which food product saw the largest increase in sales? in volume? And the lowest? Let's try a chart of the same data. 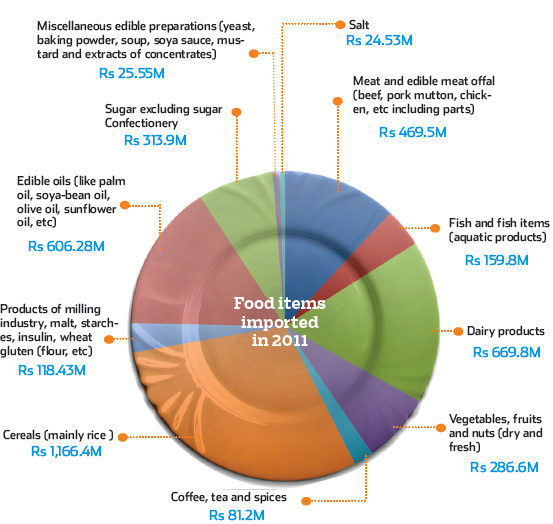 Again, let's try to figure out which food product saw the largest increase in sales? in volume? And the lowest? In this case, a chart is more suited for telling the story than a table. Why is that? When would a table be better? And what are best practices of presenting data in a table? We'll discuss all these and more in the upcoming two-day workshop Effective Data Presentation. I am not getting many visitors to the website of my travel agency. Why is that la? There are hundreds of tour operators' websites in Bhutan. And their number is growing fast! Websites are very important for travel agents, and a good website means increased web traffic and more customers. But what makes a "good" website? Foreigners will often start their travel planning by searching the Internet. They might search the Internet for "bhutan travel agent" or "paro mask dance festival dates". If your website is properly done and appears in the first page of Google's search results, your website will get more traffic, increasing the chances that these visitors will become customers. The art and science of creating websites that are highly-ranked by search engines (such as Google and Bing) is called Search Engine Optimization, or SEO. Few webmasters in Bhutan are familiar with SEO. Most tour operators' websites (and also other Bhutanese websites) that I run into are not optimized for search engines. In addition to not being search-engine-friendly, many of the websites are also not user-friendly. Here are three common website mistakes. Perhaps your website suffers from any of these? If so, try applying the suggested remedies. Tashi delek! OK, so you got a visitor to your website. Why include links that will cause your visitors to leave your website and check other sites, such as BBS, Kuensel, Druk Air, etc.? Even worse, why link your website to TCB's website, where the directory of all other tour operators, with their websites, is available? You are basically telling your visitor: Go away. Remedy: Remove all external links unless absolutely necessary. In Bhutan, it is common practice to create travel websites where the content has been shamelessly copied from other websites, usually other tour operators' websites. Big mistake! Google doesn't like copycat websites, and will penalize your website for it. And when a user searches the Internet, since your website's content is similar to others, you are basically competing with all other identical websites, lowering your chances of being displayed in Google's search results (in addition lowering your copyright karma). Remedy: Use original content only. Yellow text on a green background, 21 different fonts, flashing banners, sliding photos... Webmasters like to exercise their creativity, but often at the expense of the website's effectiveness. Visiting some of the more "creative" websites is similar to watching NDTV: too loud, too busy, and totally ineffective. When visitors are blasted by visual noise, they will soon become impatient and look for information somewhere else. Remedy: Make your website easy on the eyes. Take an example from Google's homepage. A tour operator recently complained to me that his website is not getting much traffic. Now, there are hundreds of tour operators' websites in Bhutan. And their number is growing fast! Websites are very important for travel agents, and a good website means increased web traffic and more customers. But what makes a "good" website? In the upcoming Kuensel K2 tech column on Saturday, I will list three common mistakes that afflict websites of Bhutanese travel agents. If you're a tour operator, getting your website in shape can improve its search engine rankings. I expand on these (and other) issues in the "Building Effective and Secure Websites" workshop. Air pollution appears to be a current issue in Bhutan. Sources of pollution include vehicles, forest fires, bukharis, and industrial waste, among others. Thimphu's topography - a high-altitude city surrounded by mountains - can create a pollution disaster if the area is prone to thermal inversion. While relatively large particles can usually be filtered by the nose and throat, particles smaller than 10 micrometers can end up in the lungs and cause serious health problems. The National Environmental Council (NEC) measures of particles with size 10 micrometers or less (PM10) and posts the 24-hour readings on its home page. BBS also shows the daily PM10 numbers during news hour on the bottom right corner of the TV screen, although I found their display rather difficult to read. What I could not find on the NEC website are historical numbers. Is pollution increasing? Is it decreasing? Does it change with the seasons? What was the worst day? All these questions are impossible to answer without historical data. I decided to start collecting this information using an automatic program that copies the daily readings into an online spreadsheet. This spreadsheet is updated daily. This information available publicly on our new Air Pollution page, which you can access from the top navigation bar. More and more data and statistics are being collected in Bhutan. They are communicated to the public through reports, presentations, newspaper articles and other media. Yet, current presentation practices are lacking in effectiveness. Effective Data Presentation is a new 2-day workshop (May 10-11, 2012) by Professor Galit Shmueli. Participants will gain knowledge and experience with best practices for communicating data. 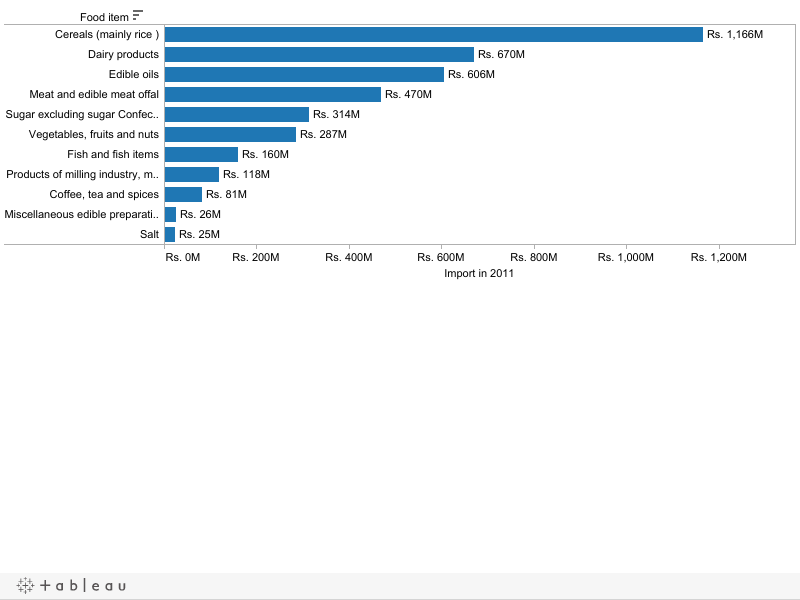 We will use data from Bhutan and software that is accessible to many (Microsoft Excel and the Tableau Public). The workshop is a must for those who collect, analyze or present data or statistics. "Who are they to tell us we're happy?" The small country of Israel was recently ranked 14th in first World Happiness Report, making it the happiest Asian country on the list. This ranking surprised many Israelis. One of the unhappy Israelis was popular blogger, author and literary editor Benny Ziffer, who shared his thoughts on the subject in his weekly column, naming his sarcastic piece Who are they to tell us we're happy? In his column, Mr. Ziffer describes a fictional meeting between him and Mr. Happiness. Read the full piece. 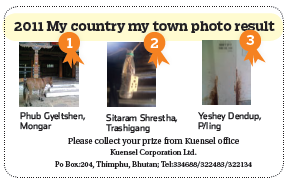 Kuensel's My country my town corner is one of my favorite parts of the newspaper. Recently, a competition was announced among contributors of photos to this corner, where the winner are those with the most votes. "Thimphu city will now have the supply of processed pasteurized milk in 500 ml poly pack. The packed milk is now available for sale at Yoghurt Plant, Chubachu and other retail outlets in Thimphu town. The plant has the capacity of processing 2000 liters per day using the HTST method of pasteurization. It is currently operated by the National Livestock Breeding Programme, Department of Livestock." 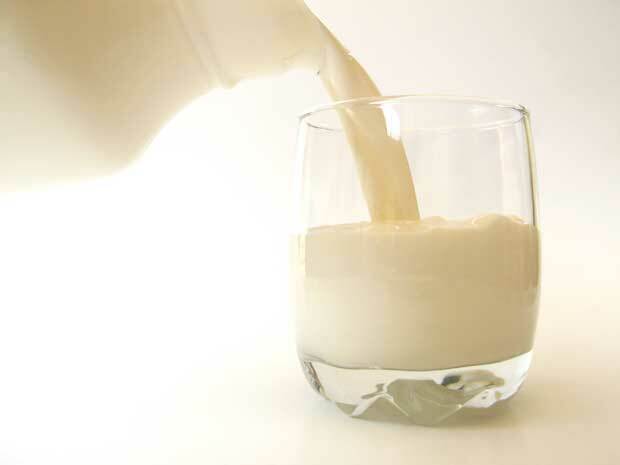 Having ready-to-drink fresh milk is a wonderful upgrade. For those who have been buying fresh milk it will save time and expenses for heating the milk. More importantly, it will offer healthier milk! Most Thimphupas buy fresh milk and boil it for safety (to avoid milk-borne illnesses such as tuberculosis, typhoid and diphteria). Boiling makes the milk safe to drink by killing bacteria, but it also removes a lot of its nutritional value (see more here). In contrast, pasteurization which heats the milk at lower temperatures for short durations, only kills bacteria and enzymes but not the vitamins. For those who have been opting for boxed UHT milk (Zimdra, Amul Taaza, and the like) for shelf life reasons, pasteurized milk offers a better alternative, and it keeps longer than fresh milk (a few days in refrigeration). Moving from imported milk to locally-produced milk is good not only for us consumers (healthier and tastes better), but also for Bhutan's industry. Here's a great chance to support the local daily industry and fight the causes of the Rupee Crunch! Booking a Druk Air ticket is always an interesting challenge. Once upon a time you had no choice but to use an agent in Bhutan. Then came online reservations using Druk Air's website, with its own idiosyncrasies. 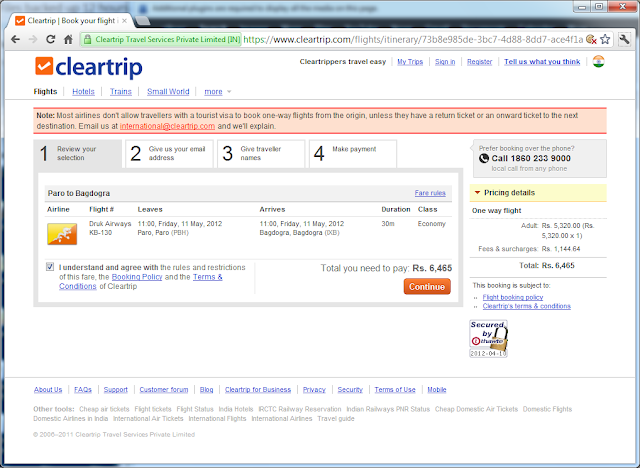 But recently I noticed that Cleartrip, the Indian online booking engine, shows Druk Air flights on its search results. Now that's new. 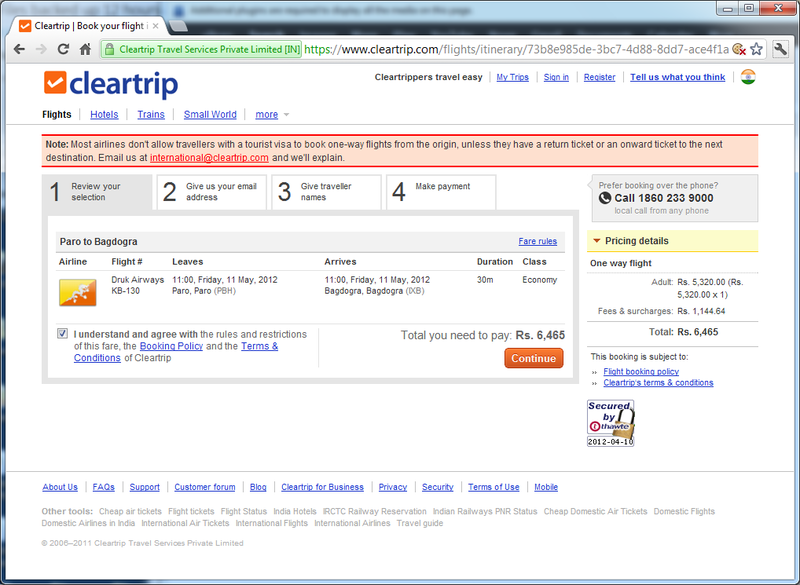 Searching for a flight from Paro to Bagdogra I found a price that is higher than the official Druk Air rate. Also, flights seemed to be available on all days of the week, which is strange. All in all, it seems all this is new and still not ironed out, so I wouldn't recommend being the first to try it out. But with Drukair facing competition in the future, uploading their flights into international booking engines is the way to go. With the aim of 100,000 tourists visiting the country this year, and double that five years from now, a major requirement is increasing the capacity of flights to/from the country. 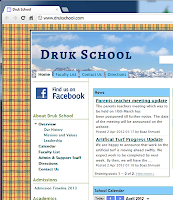 I was glad to read about Druk Air's announcement of additional flights on their website. 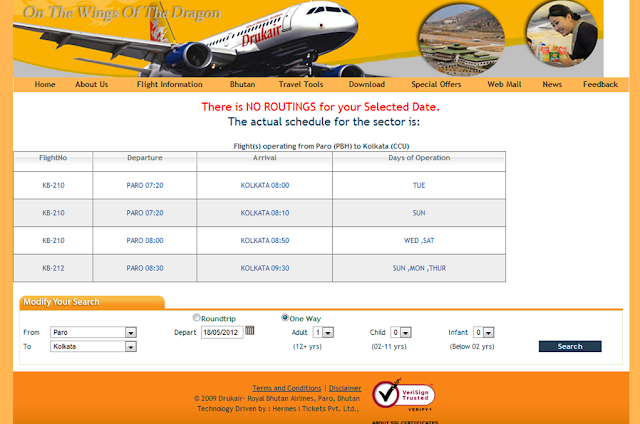 I checked the schedule of flights to Kolkata on the Druk Air website and at first site it seemed too good to be true: flights every day except Friday! So is there a Wednesday flight or not? If some of these flights don't exist, why not post a monthly schedule with exact dates when real flights take off? Druk Air might want to consider some usability testing of their website if it is to be used for online booking by simple people like us. Or maybe this is the remainder of yesterday's April Fools' day prank?